I love growing squash and every year I plant several different varieties. One of my favorite ones to grow, harvest and eat are Yellow Crooked Neck squash. A serving (about a cup) of this squash contains 25 calories and 10.9% of the daily recommendation of vitamin C.
Try this great recipe using Yellow Crooked Neck Squash. In saucepan cook diced squash and onion in boiling, salted water for 5 minutes. Use very little water. Drain well. Combine mushroom soup and sour cream and stir in shredded carrot. Fold in drained squash and onion. If using butter, stir it in to stuffing mix. Spread half of the stuffing mix in the bottom of a 12 x 7 x 2 inch baking dish. Spread the vegetable mixture on the stuffing. Top with remaining stuffing mixture. Bake in 350 degree oven for 25 minutes or until hot. I had these for the first time last summer & loved them! So I'm adding them to my garden this year. 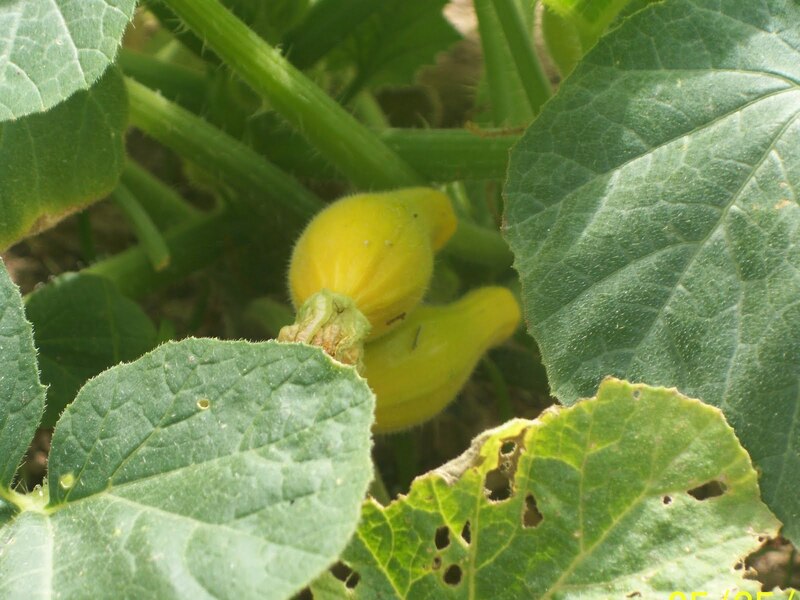 That's awesome that you have squash already…I just planted mine yesterday! LOL! You are way ahead of us on the veggie front! Everything we have are just little sprouts. I so should have done a garden this year! Looks great. My mother's favorite. Oh! BOY!!! This looks Wonderful!!! I can't wait try this. LOVE YOUR BLOG!!! Thank you so much for coming to my blog and bring me here. A great photo AND a recipe to boot. COOL! Love WW! Thanks for droppin by! Yummy! I am dying to have a veggie garden. So jealous! Yay!! We just planted this in our garden this year… can't wait for the harvest!! Yellow squash is sooo yummy! Looks great! We enjoy our calico squash casserole too. I've never had squash casserole, but this sounds good! I so LOVE fried squash!! Last year a friend gave me a bunch of crooked neck squash but it was so hard I couldn't cut it. Maybe I'll try again this year and try out your recipe. That looks good! I love squash but never eat because no one else likes it in the house. My inlaws make it sometimes and then I chow down on it! I could never grow anything with my black thumb! Mmmm… I can't remember the last time I had squash. It was probably – well, good squash. It was probably when I was a teenager living at home. More than 25 years ago. That recipe sounds perfect! Happy Wordless Wednesday! Yum! I love squash too! Ours all died this year, but we're hoping next year will be better! I don't like squash 🙁 BUT if it's made into bread I love it! Zucchini bread is pretty good. I have zucchini in my garden too. Thanks for stopping by and leaving us a comment! I love squash and I am trying to grow it for the first time this year.